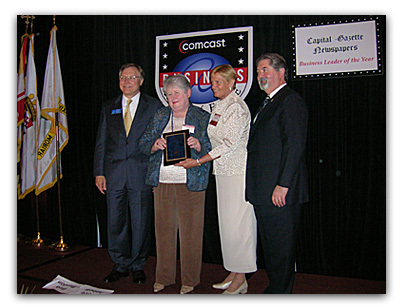 At the Comcast Annapolis and Anne Arundel County Chamber of Commerce Awards Dinner held on May 11, 2006, Pat Troy was named 2006 Entrepreneur of the Year. This award was for her work in launching FacetsWoman. --Photo taken by Nancy Badertscher. 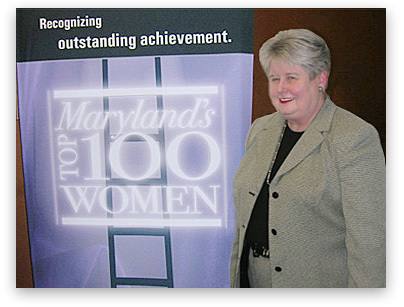 FacetsWoman, Inc., founder, Patricia Troy, is shown at the Daily Record's Maryland's Top 100 Women Tenth Anniversary Event held May 18 at the Myerhoff in Baltimore. Troy, having received the award three times (1997, 1999, and 2001) is a member of the prestigious Inner Circle.